The Age of the Extraordinary? 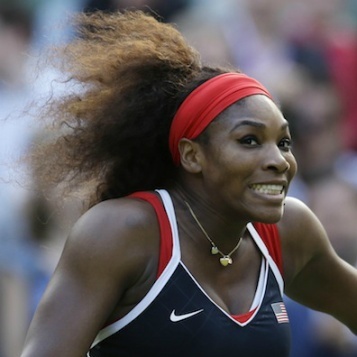 Is it us, or are we witnessing tennis' version of the "Greatest Generation?" Of course, every generation of athletes is faster, stronger, better equipped than the prior, that's what makes the GOAT (Greatest of All Time) discussion that's dominated the men's game of late so difficult. If 1969 Rod Laver with his wooden racquet and archaic playing style touched down fresh out of a time machine on Centre Court today's Roger Federer, the Aussie would be thrashed. The same goes for 1980 Bjorn Borg up against today's Rafael Nadal. But it seems to be more than just the physicality and sport science in this case. In a sport whose list of potential achievements has been largely unchanged since the Open era commenced, the records just keep falling for the current crop of tennis stars. When Steffi Graf claimed the Golden Grand Slam in 1988, it was a remarkable, if somewhat fluky feat. The prior sixty years hadn't seen Olympic medals handed out in the sport, so how could you compare her achievement to that of, for example, a Margaret Court who never had the opportunity to post Olympic gold the cherry on top of her Grand Slam cherry? While she's never claimed the "true" or calendar year Grand Slam, Serena Williams has won all four majors, the Career Grand Slam and today, she topped that feat with an Olympic gold medal in singles. The win, not only burnished a strong year for Williams, but it gave her a new record all her own. Serena Williams is the only player in the history of the sport to have won the Career Golden Slam in singles AND doubles. Maria Sharapova was on the wrong side of a beatdown today, falling 6-0, 6-1 to the muscular American as she played some of the absolute best tennis of her career, but don't cry for Sharapova. As recently as May, she was on top of the tennis world, not just as the reigning French Open champion (she is) or World No. 1 (she was), but also just the fifth woman in the Open Era to capture the Career Grand Slam. How's this for a roster: Evert, Navratilova, Graf, Serena Williams and Sharapova. Had the scoreline been reversed today, instead of Williams, Sharapova would have become the second woman to complete the Career Golden Slam. she wouldn't have had the doubles kicker, but neither does Graf, the first woman to turn the feat. The only other players to have won the Golden Slam across their careers are two men, Andre Agassi and Nadal. Tomorrow, when he takes on Andy Murray in a rematch of the Wimbledon final that he won, Roger Federer has the opportunity to join them. It would be yet another impressive superlative for the man who already has the record of the most major titles (17), most weeks at No. 1 (289 and counting) and oh yeah, as of 2012 is still extending his lead in both of those categories. Federer's numbers would be impressive regardless of circumstance, but the fact he played alongside another all-time great in Nadal makes his output even more sterling (or golden, as it were). 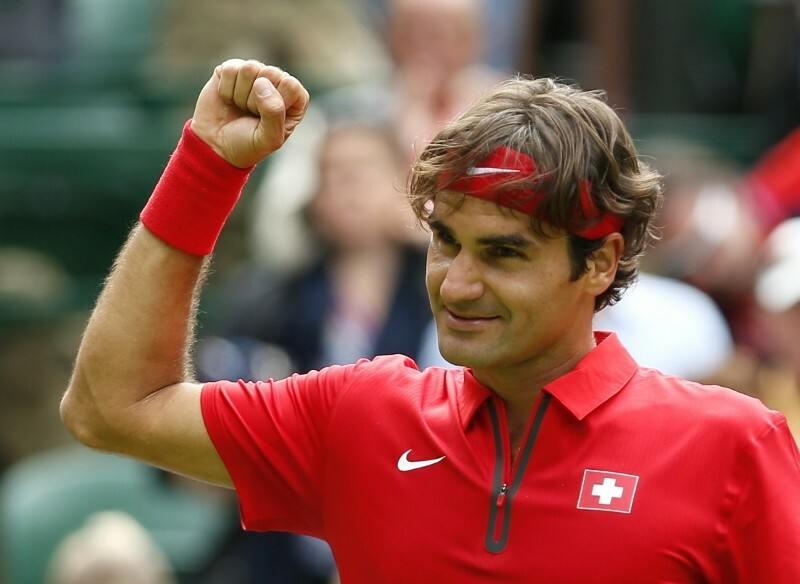 Federer's Wimbledon title a month ago gave him a record-tying seventh crown at the All England Club. His career rival Nadal has matched that with a record-breaking seventh title at Roland Garros. While the Spaniard has proven his mettle on all surfaces, it's no secret he's at the peak of his powers on red clay. His dominance at Roland Garros comes into even starker relief when reminded that he's also hoisted eight trophies at the Monte Carlo Masters, seven in Barcelona and six at the Rome Masters; much as Federer's fast court credentials are boldfaced by his five ATP World Tour Finals titles and a matching set of five US Open titles. Once upon a time, or back in 2008, much was made of the fact that Nadal became the first man since Borg to turn the French Open-Wimbledon double, mastering the rapid clay to grass turn in a way that nearly three decades of prior champions failed to. It was then done four times in a row, by Nadal in '08 and 2010, Federer in 2009 and Djokovic in 2011. So what's going on? Is the air just thinner at the top, has surface homogeneity basically rendered all the old records irrelevant or are we witnessing a slew of the best players in the history of the game all taking the court against each other at the same time? Buying ladies never already been always easy. louis vuitton replica Ladies usually would like increasingly more of every product within their wardrobe, whether it is clothing, footwear, totes or even additional add-ons. replica chanel Along with Summer time, an ideal outfit gets the maxi gown combined along with big add-ons, awesome jello new sandals (within chocolate colors) along with a declaration mix entire body tote. replica chanel Not really a maxi individual? There are many gown options for a person apart from maxis. fake cartier You should purchase awesome midis, skater minis or even flower bodycon gowns there is much surprise. rolex rreplica Choose materials which assist the skin breathing as well as assist you to remain awesome. fake hublot Sticky materials won't cause you to really feel unpleasant however will even remember out of your design quotient.